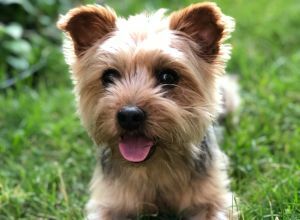 Oscar | Yorkshire Terrier in Montreal. He has a very calm soul and loves just chilling on your lap or beside you! Will only walk when you walk and will nap with you if all you wanna do is lay back and relax!